Happy Thanksgiving, everyone! I’m pretty sure that we all can find something to be thankful for this time of year, especially if we were to take a long hard look at some of what others – both near and far – have recently experienced. And since this is a day of gratitude, spending it in the company of loved ones – surrounded by the warmth of their company and treated to a hearty meal – is the perfect opportunity to embrace just how truly fortunate we are. 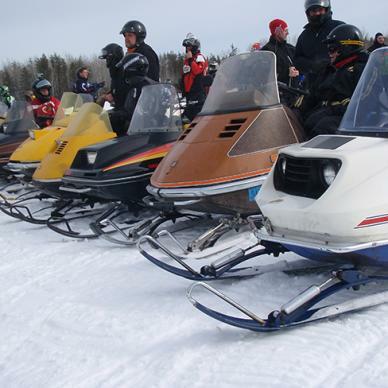 And while you’re enjoying all those amazing little blessings and feasting on that pumpkin pie, we invite you to take a look at what’s hot in Manitoba. Fall is finally here and you know it’s fall when, one by one, communities start announcing their suppers. For a list of the ones you can look forward to this week, click here. The birds are getting ready to take flight and the Alfred Hole Goose Sanctuary offers one of the best places for viewing. Brunch with the Birds is a great program for the entire family where you’ll witness a variety of birds get ready for the journey south. The Winnipeg Symphony Orchestra is celebrating its 70th anniversary with two days of events led by Alexander Mickelthwate, beginning with the matinée Brahm’s 2nd and continuing Friday and Saturday evening with the Classic A series and the works of Haydn and Beethoven. Chilean native Jaime Carrasco brings his incredible drumming and percussionist skills to the mardi jazz stage this Tuesday evening. This is one treat you won’t want to miss. Photo courtesy Teekca’s Aboriginal Boutique Facebook page. If you are fascinated by the intricacy and artistry of Aboriginal arts and craft, particularly by the beadwork, Métis artisan Julie Desrochers will be facilitating an introductory workshop to the craft, where you will learn the art of beading and how to work with leather materials at the Saint Boniface Museum. Each month, the Gwen Fox Gallery exhibits the work of a different artist. This month, the work of artist Courtney Savoie will be on display. When was the last time you swayed to the well-known classic, “The Lady in Red”? Well sway away Wednesday evening when Chris de Burgh & Band will perform at Centennial Concert Hall. Get ready for an explosion. Philip Ridley’s Tender Napalm explores the passion that makes relationships as exhilarating as they are challenging. The event will open on the top floor at Creative Manitoba, in the Sacred Circle, and will move to the main performance space after the intermission. Canada geese are taking flight and FortWhyte Alive is one of the best places to witness the magical experience. For the perfect date night, or for a quality evening with family served up with s’mores by the fire pit, head to FortWhyte from Wednesday night and throughout the rest of the week. From Wednesday to Sunday, the West End Cultural Centre has an event on every evening. From the Moulettes to Amber Epp, Iskwé, a matinée featuring Al Simmons and an evening with Twin Bandit with Post Script and a performance by Sarah Slean, there’s likely one that will pique your interest. The Prairie Theatre Exchange is back for another phenomenal season. Gracie tells the story of a girl who grows up in a polygamous community. Gracie’s lives a full and irrepressible life surrounded by family and faith. By age 15, however, marriage is on the table and with increasing pressure on her, Gracie must decide whether to step outside the world she is used to, or conform. An exciting craft show is happening this weekend at Red River Exhibition Park and we feel pretty confident it’s one you’re not going to want to miss. With over 100 vendors to browse and buy from and with gift-giving season fast approaching, Scattered Seeds Craft Market might just be the perfect place to find what you’re looking for. Be transported back to the glory days of country music when Patsy Cline, Roy Orbison, Willie Nelson and others performed live on radio. This year’s Louisiana Hayride Show at P.W. Enns in Winkler, will also feature some of today’s best in the business, including Garth Brooks and Shania Twain. Get ready for the fright of your life at Lower Fort Garry. Fright Night at the Fort returns with an invitation from the governor to a haunted circus, where everything that can go awry does. Summer may be gone, but football fans are die-hard in their devotion. Be a part of the action as the Winnipeg Blue Bombers take on the BC Lions at the Investors Group Field. Ottawa siblings Cheng² Duo in collaboration with The Canada 150 Project bring you a unique, multi-sensory celebration of Confederation through music and art, at the University of Winnipeg’s Eckhardt-Gramatté Hall. Looking for your next physical challenge? Look no further than scenic Hecla Provincial Park, which will be host to the Hecla Half Marathon with a 10K and a 5K race. Each course finishes with a 2 km trail run next to the Hecla Golf Course and around Gull Harbour Point. 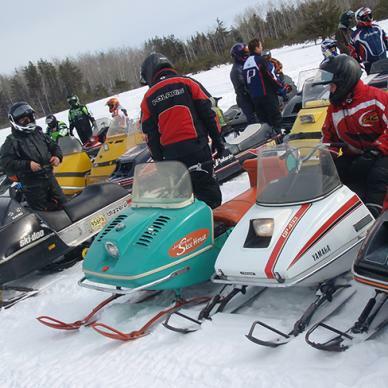 The South East Sno-Riders Inc. will be hosting its second annual Vintage Swap Meet on Saturday, for vintage collectors of snowmobiles, ATVs, autos, tractors and anything else that is motorized. There will also be memorabilia, parts, and clothing swaps. Celebrate World Space Week with the Manitoba Museum this weekend. There will be exciting hands-on activities that highlight the importance of space and space exploration. There will also be models of Russia’s Sputnik first satellite and Alouette, Canada’s first satellite.